When firefighters pass away in the line of duty, their department and their community want to offer them a fitting tribute. 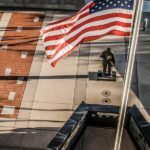 One way communities and departments choose to commemorate their fallen heroes is a public memorial. Unfortunately, establishing a public memorial can be a long and arduous process. It requires flexibility, dedication, and determination on the part of the planners. 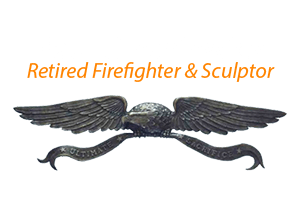 Retired firefighter and sculptor, Paul Olesniewicz, is keenly aware of this. It took ten years of planning and hard work to complete the firefighters’ memorial for the community he served in Tucson, Arizona. Paul now works with other communities to overcome the hurdles of conceiving and constructing memorials for their fallen heroes. The first hurdle that memorial planners face, Paul says, is knowledge base. Memorials often involve bronze sculptures. The how-to of designing and purchasing a bronze statue are not common knowledge. 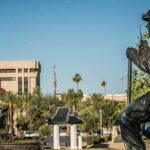 His involvement in the Tucson Firefighters’ Memorial started, in part, because he is in the unique position of being intimately familiar with both firefighting and art sculptures. “Someone will call and say they need a statue but they don’t know much about it. I give them as much information as I can. 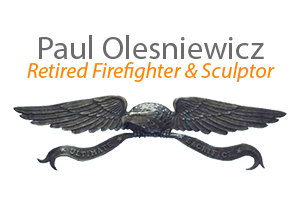 ” Paul also uses his website www.911sculpture.com to educate interested people on bronze sculptures, how they are made, how to install them, and how to care for them. Ideally, no firefighter would fall in the line of duty. Sadly, this is not the case. The best communities can do is establish a way for a firefighter’s sacrifice to not be forgotten. The Tucson Firefighters’ Memorial is a testament to Paul’s dedication to remembering his fallen comrades. It was also a valuable learning experience for him as he dedicates himself to helping other communities create their own memorials for their firefighters.